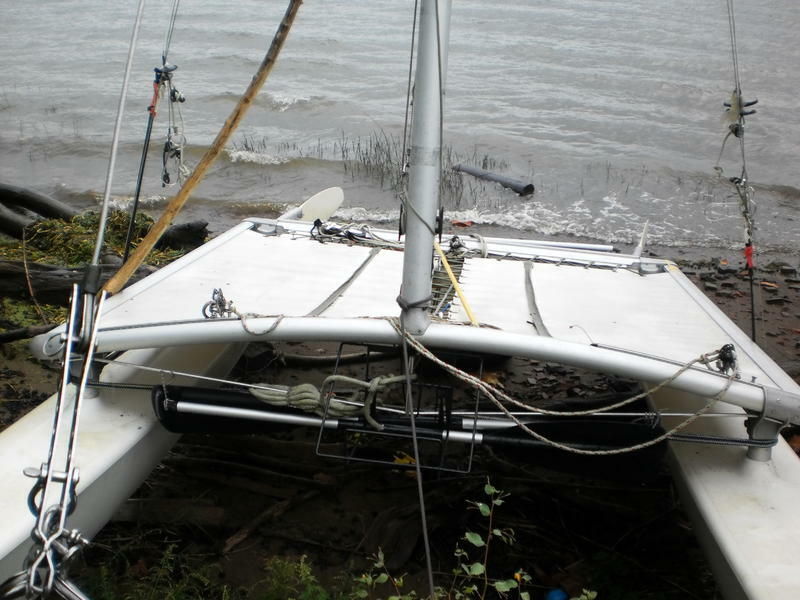 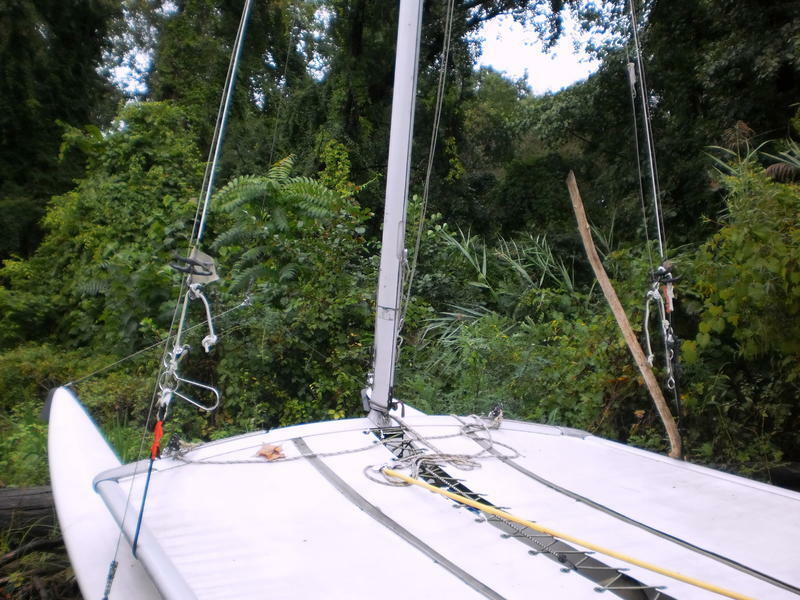 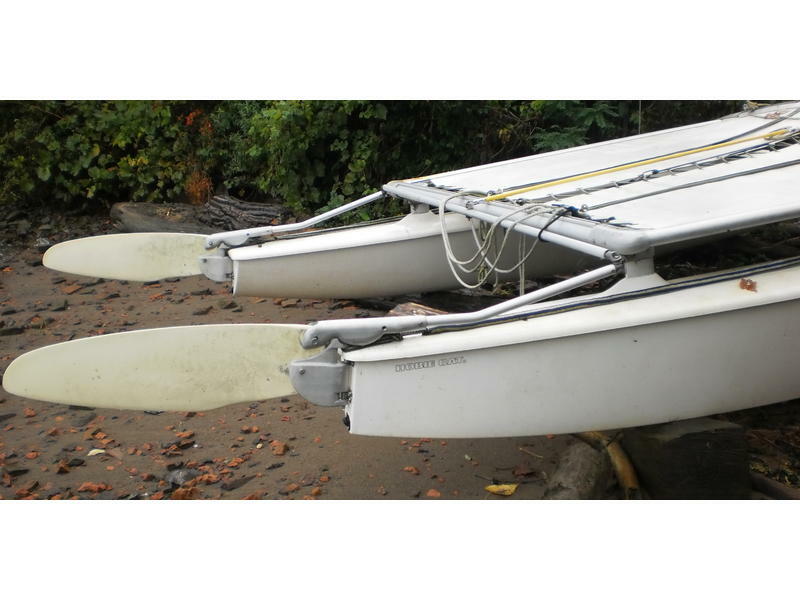 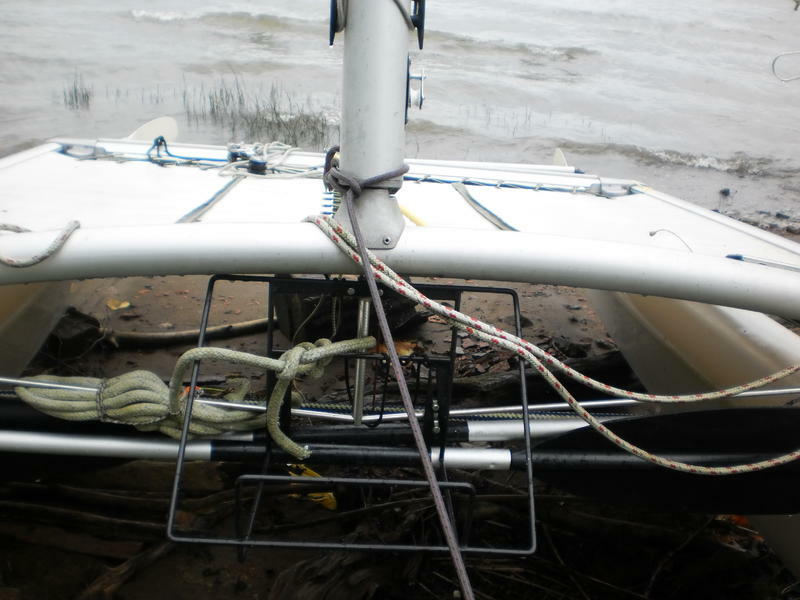 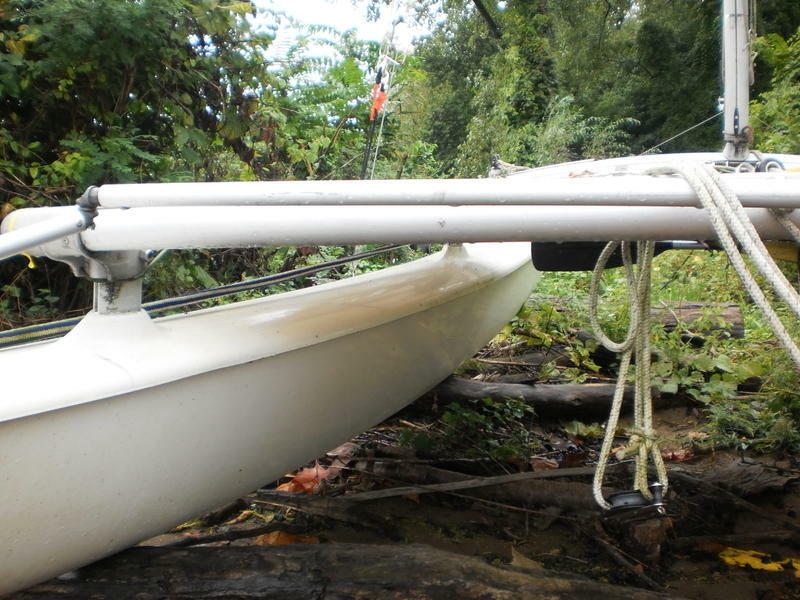 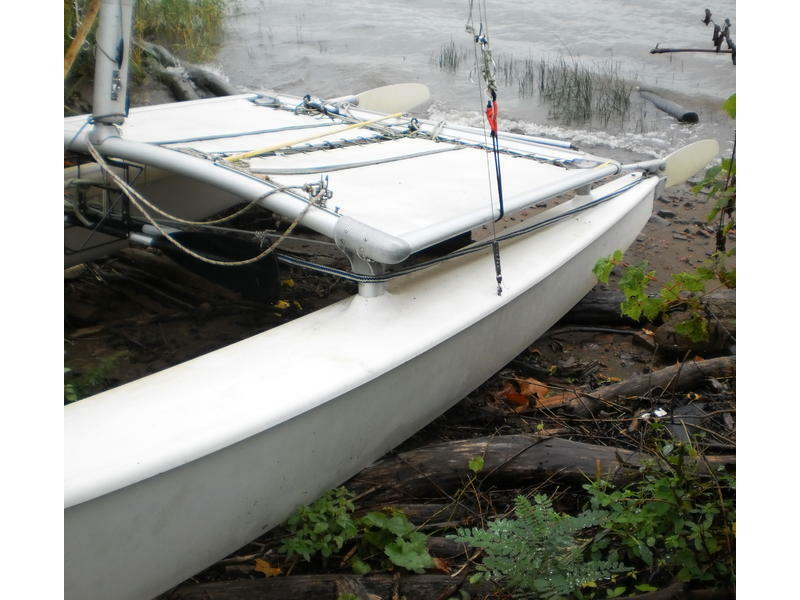 Hobie 16 Catamaran Sailboat in good condition. 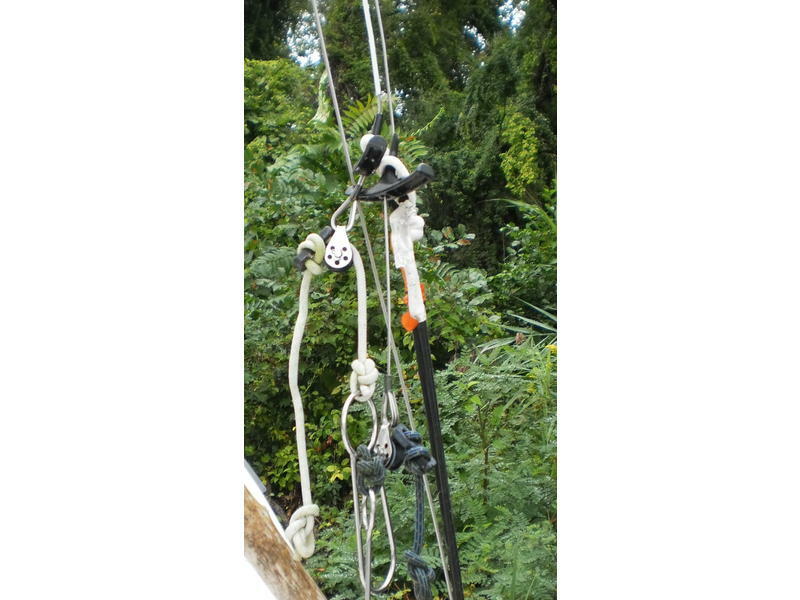 Newer sheets/ropes on blocks. 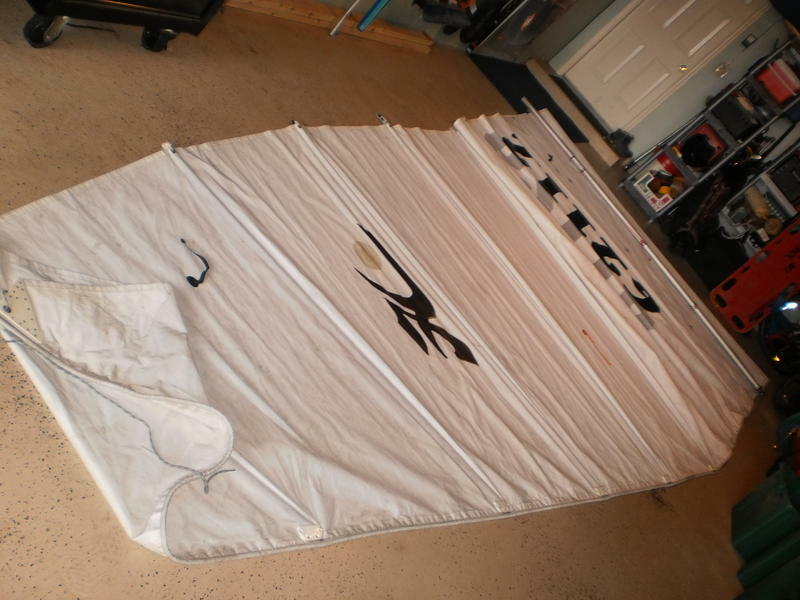 Boat is complete and ready to sail. 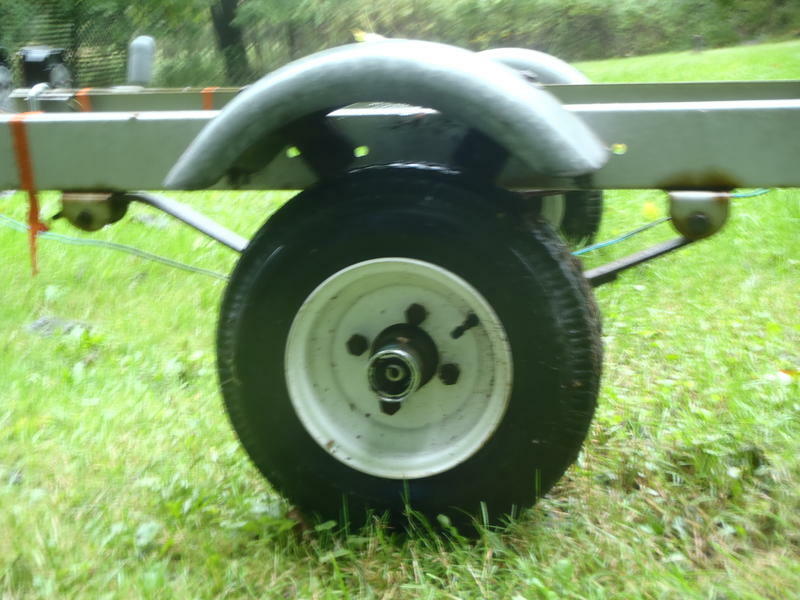 Nice set of fat tire beach wheels included for moving it on sand or across the beach. 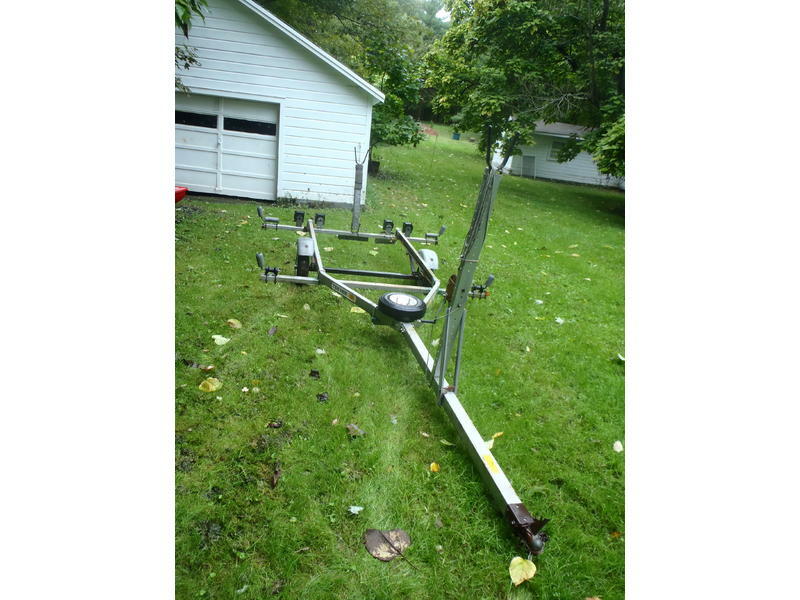 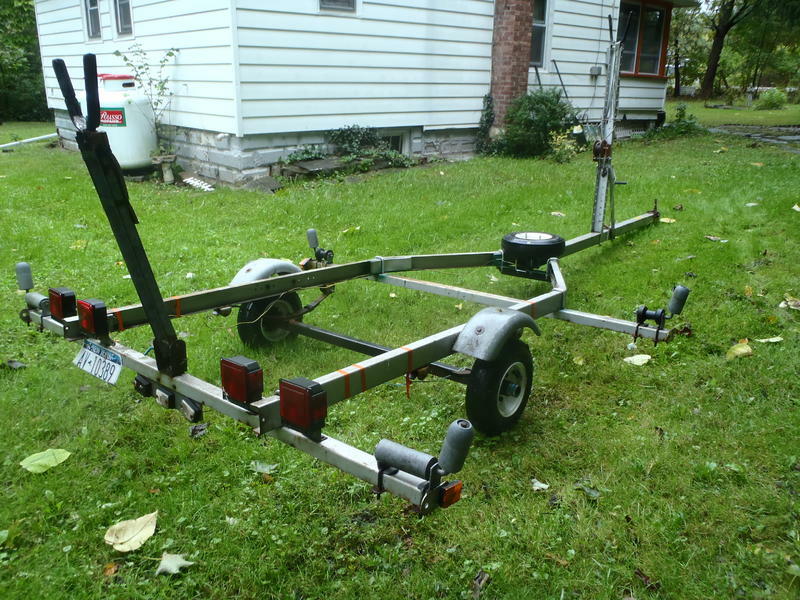 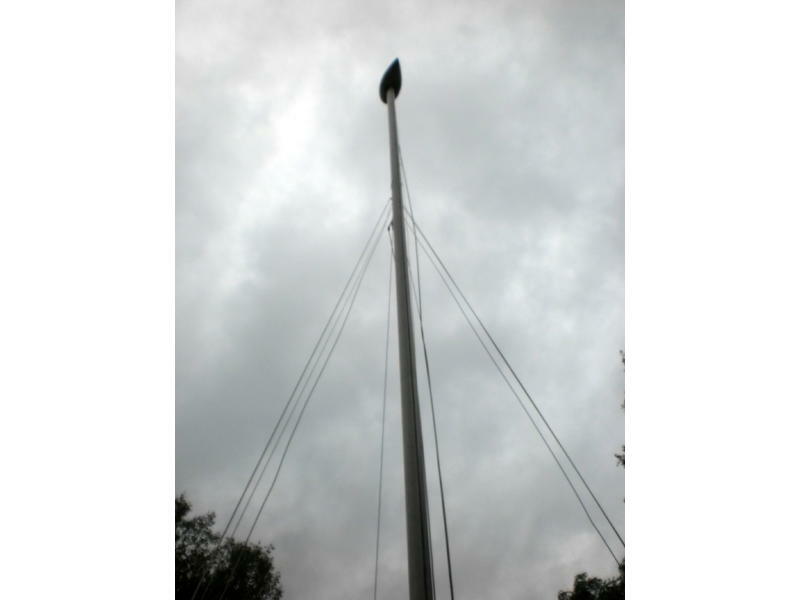 Trailer has good tires and is road worthy, boat can be launched from trailer.